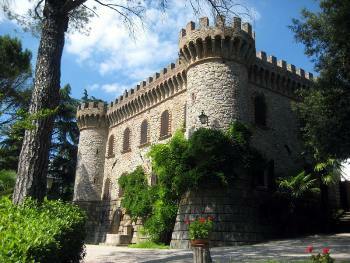 Small romantic castle located on the hills surrounding Assisi, the land of Saint Francis. The origin dates back to the XIII the century although thoroughly restored in the XVIII century in Gothic style. The property also includes a tiny church where catholic weddings may be celebrated. Symbolic weddings and wedding receptions may take place in the castle halls or outdoors on the veranda.